International Girls YA Book Club on Facebook has reached 1500 likes! We're so excited we want to do a giveaway! Yup, that's right, we want you to win something! What will you win? Well, take a lookie at what these authors are holding! 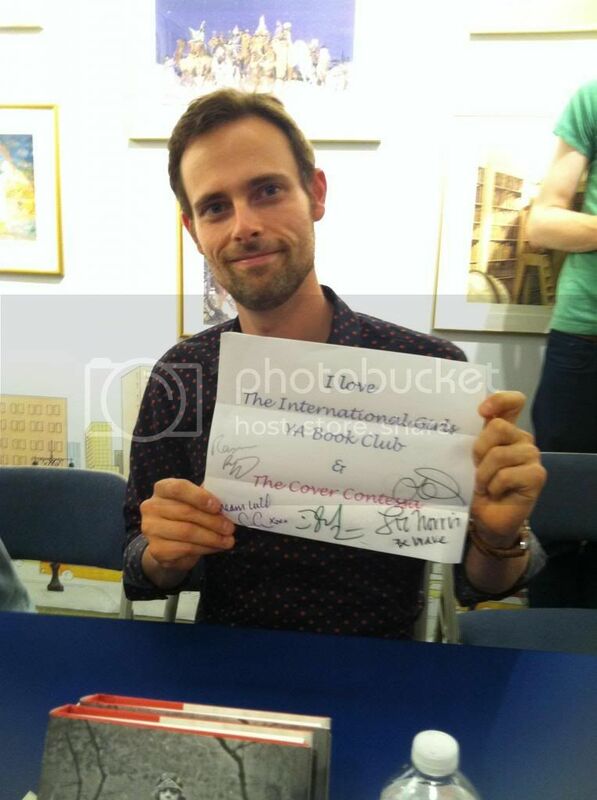 That's Tahereh Mafi, Ransom Riggs, Lauren Oliver, Elizabeth Norris, David Levithan and Andrea Cremer. They all signed these neat posters D'vora made and brought to a signing! Isn't that awesome? And one could be yours! So, what do you have to do, you ask? Well, you just need to fill out the Rafflecopter below! That's it! And you'll be entered to win a signed poster! How cool is that! So GO GO GO! It's International! I don't even know where to begin to say thank you to everyone who helped us reach this goal!! Thank you thank you thank you!! I promise many more awesomesauce giveaways in the very near and far future! !